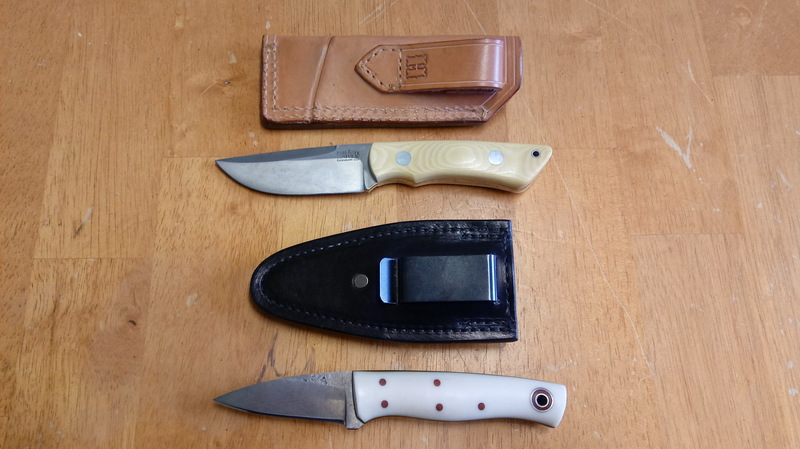 Here are 2 EDC sheaths that I did two years ago. Top is for a Bark River Phoenix 1 and the bottom is for Fiddleback EDKarda. Love these knives!! Lady1911, thurin, CAD and 1 other person like this. got2hav1, Boxer .45, burnside and 4 others like this. 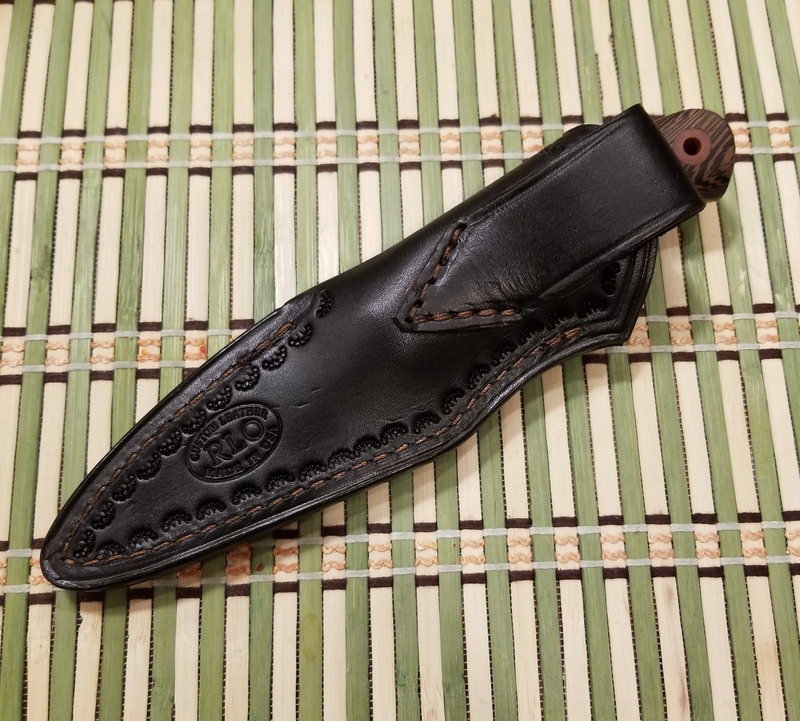 Anyone have any leather sheath recommendations for a Gaucho? I could be open to kydex as well. 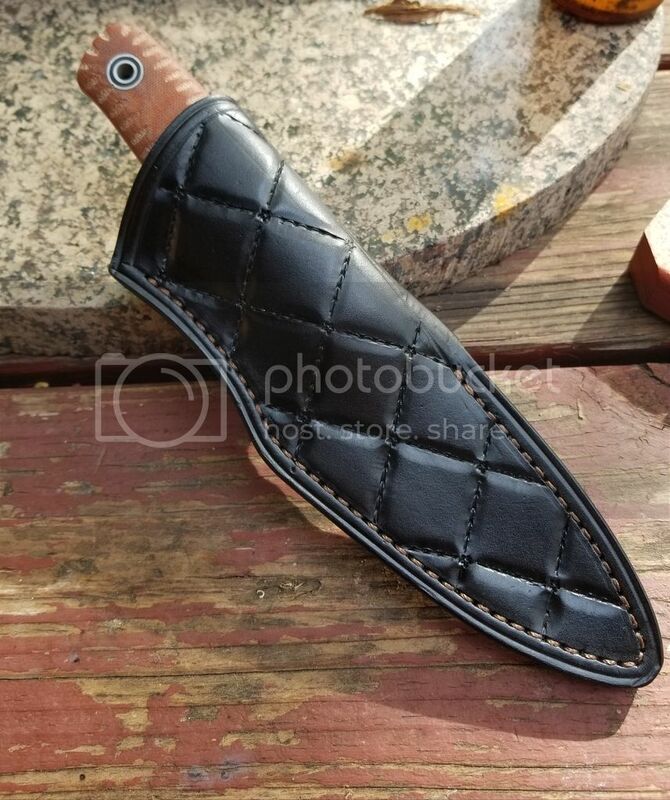 I will be making leather Gaucho sheaths once I get my group buy Gaucho in. CAD, mwramos76, Twisted Forest and 1 other person like this. Florider 6 and Boxer .45 like this. 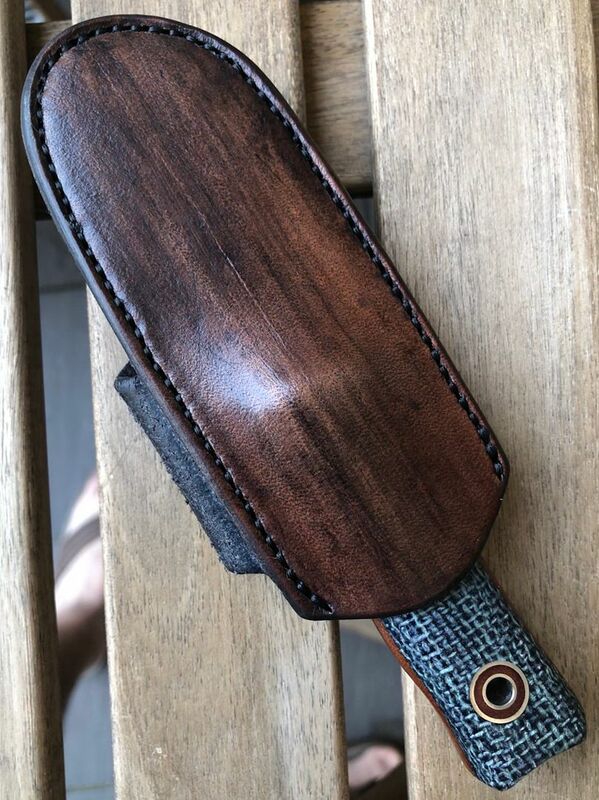 my good buddy @Rick Lowe made me this beautiful custom quilted pattern sheath for my badass Bush Hermit. 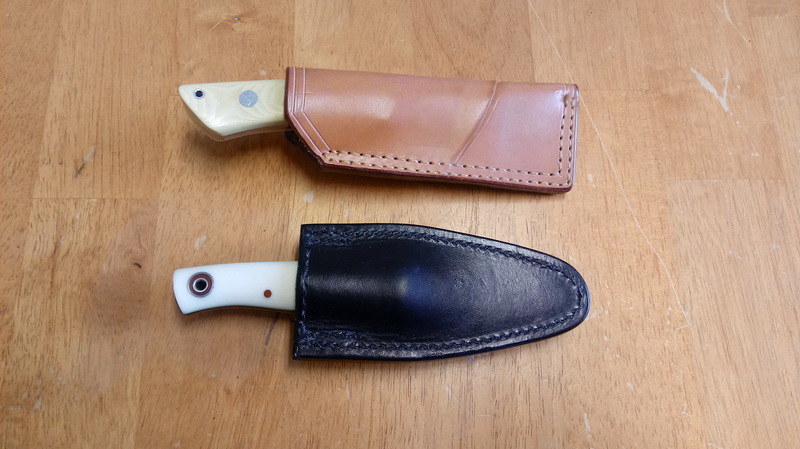 Like a holster for a pistol, I love have a sheath made to fit the actual knife. Lady1911, jaz322, David L and 4 others like this. 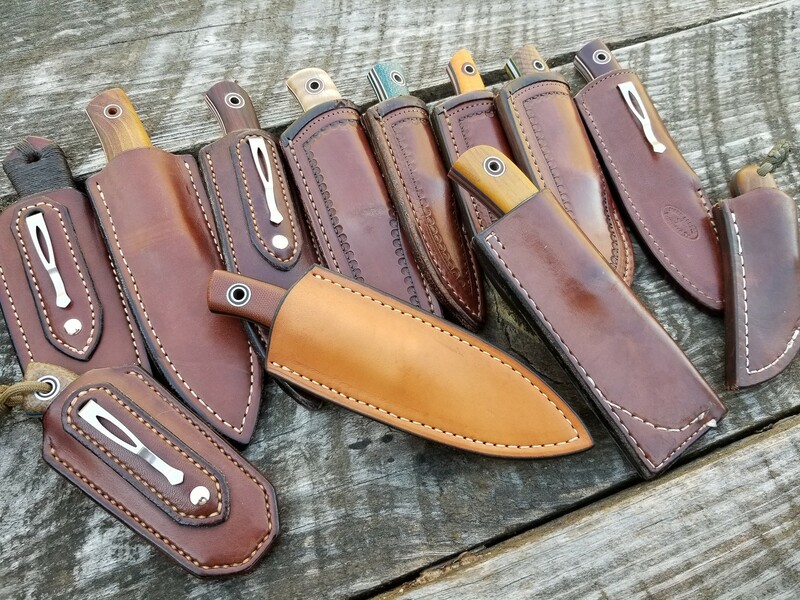 Now on to sheaths... A couple of the recommended artisans list the Kephart among the standard patterns they have on hand. Recluse is referred to as "Kephart family" but appears to have a longer handle length and OAL than the Kephart model? Will obviously discuss this with maker(s) but any particular suggestions for Recluse? While this purchase is probably a conspicuous, dangling rig I am also curious about setups for consistent, reliable and rapid deployment. 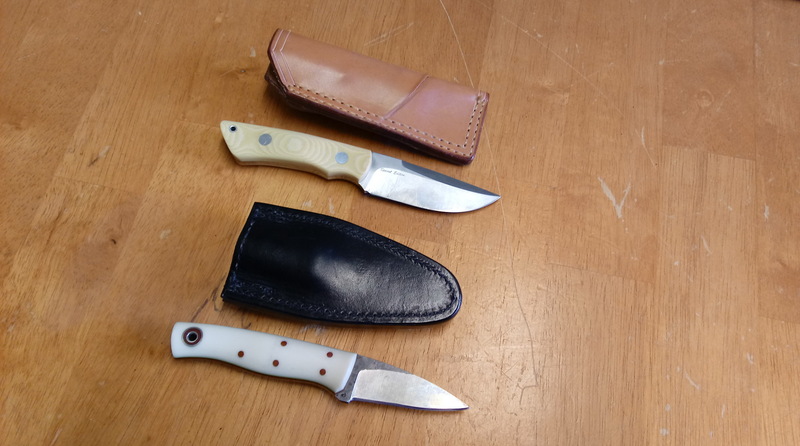 Finding, drawing and opening my folder is a very snappy, instinctive practice but I am not yet sufficiently coached or experienced where my drawing a fixed blade from my current setups would be beneficial for self defense. 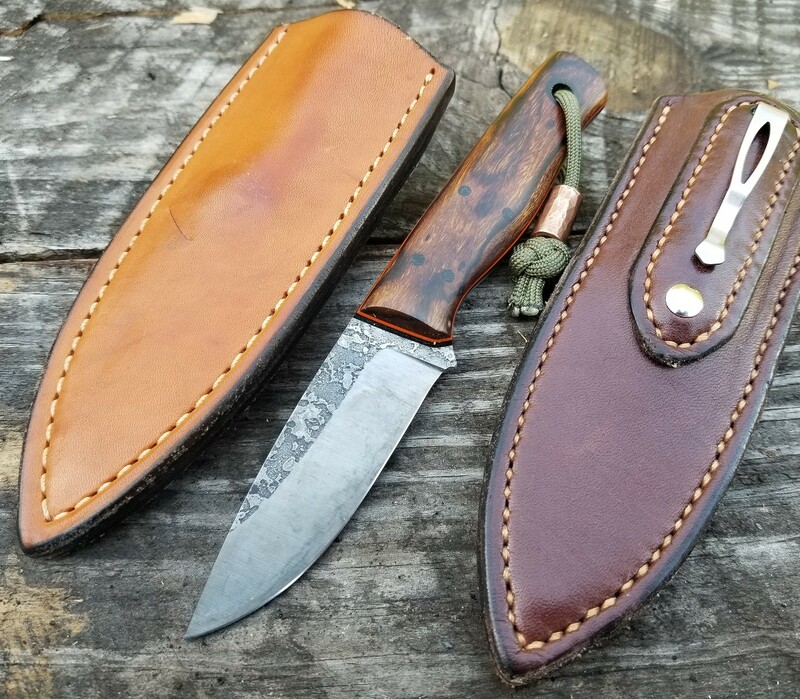 What are your favorite rigs for getting a fixed blade out of your dominant side front pocket consistently enough to take real estate away from a pistol or a folder? 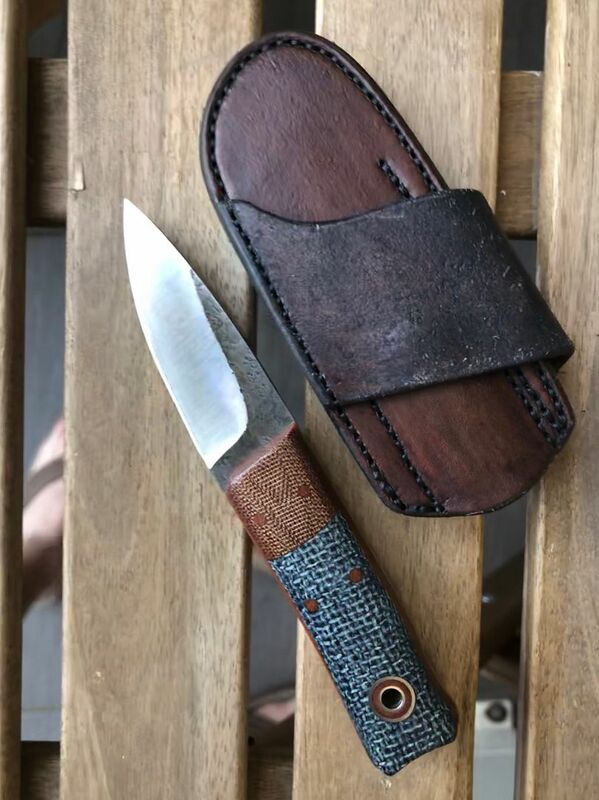 What sheaths are all of the Bushcrafters riding in? Although not entirely for the same reasons you mentioned, I find that the nearly horizontal cross-draw sheaths (available from several different makers) are great for saving your real estate on the strong side. They don’t interfere or slow down deployment. Works well for me, especially with the blades that are too long for the pockets on my Lady jeans. Just my two cents. My suggestion is to email the makers and explain what you’re looking for. Many of them will work with you to find a suitable sheath. They are familiar with the Fiddleback models and can steer you in the right direction. Runt in JouFuu natural veg tan leather slip sheath. It’s very comfortable in the pocket and was quite reasonably priced. Also, I placed my order on Sunday and received it that Wednesday. schmittie, Lady1911, ilyk and 6 others like this. Like to conceal a sneaky pete. Any ideas? What’s out there? jthrift21, NOLA, Khanvoy44 and 1 other person like this. Seemed a sin to cover up Osage. 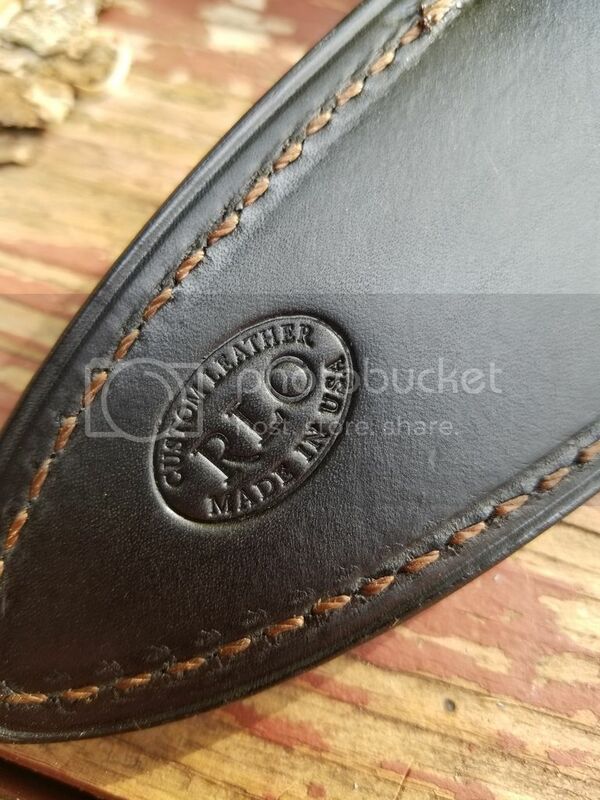 Went to @Rick Lowe for this wonderful leather covered kydex. Purchased shank from Honered Member @Apocryphiliac. mugwump867, Lady1911, VANCE and 4 others like this. jthrift21, Nbrackett and Khanvoy44 like this. 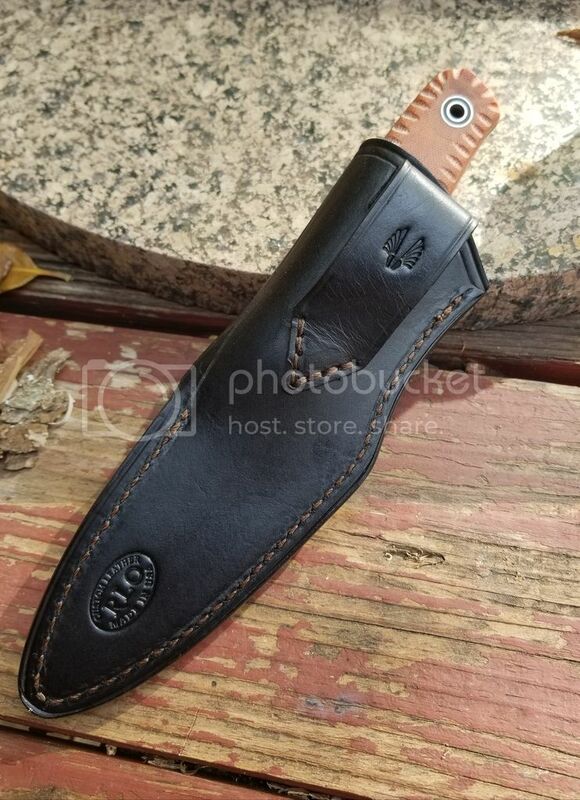 Where would you go to get a kydex sheath for a production Duke?